Puffins are not baby penguins. When I was a little girl I was a member of the Puffin Club, which was the children’s division of Penguin publishing, so for a little while there, I thought a puffin was a baby penguin. I had an enamel badge of a puffin, and a quarterly magazine ‘Puffin Post’ with books news and puzzles, and other fun bits and pieces in a large brown envelope. So I have always had a soft spot for Penguin Books. And for things that arrive in the post. 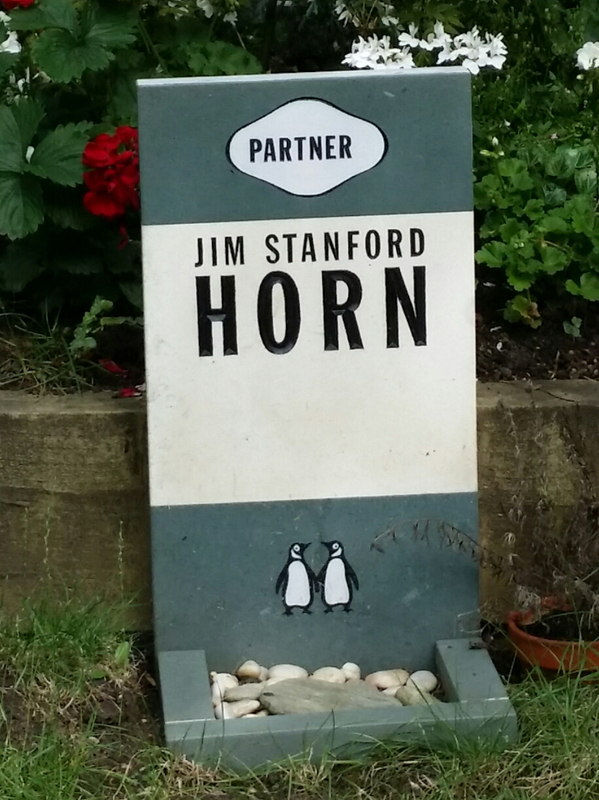 This is one of my favourite graves in Highgate Cemetery. 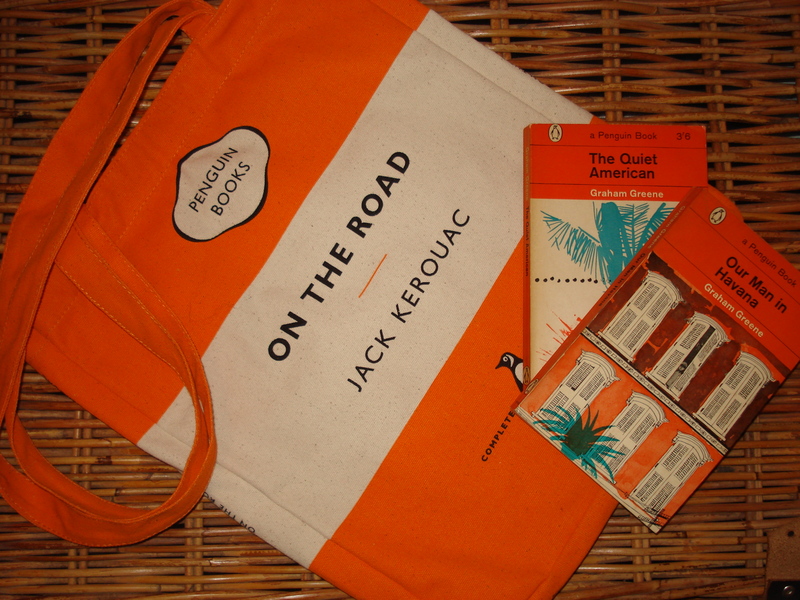 I am trying to collect all the Graham Greene novels in orange Penguin editions from the 1960s, and of all the book bags I own (which is a lot) I love my orange Penguin book bag the most. Although I don’t love Jack Kerouac the most. He once wrote a novel on a long roll of paper. He must not have believed in reviewing his work. He then dumped it at his editor’s office and let them unravel and cut it up, and work out how to make it publishable. If I was his agent or editor, I think I’d have done a fair bit of swearing once he was out of the door. To celebrate their 80th anniversary, Penguin are selling 80 of their classics for 80 pence each (about $1.25). Click here to go to their site with a cool snazzy dial to see quotes from the mini books, which then give you links to retailers. And then decide you’re only going to buy a fiver’s worth, but then wait, if there postage involved, why not make it a worth your while and get a few (or lots) more? ← If I could turn back time, or… Why I wish I could go back to Leigh Delamere Motorway Services and introduce Sue Perkins to Virginia Woolf.